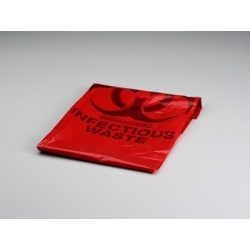 Emergency BioHazard Spill & Pick Up Products are a must when working with any type of biohazardous material. 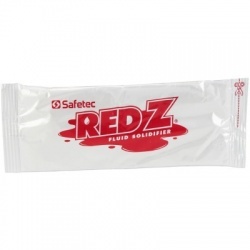 Even in a normal environment, you need to be prepared for the unexpected, so make sure you are prepared and supplied for any spill in your workplace. 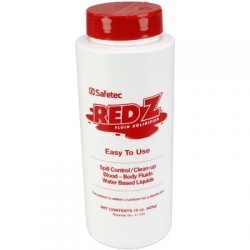 Look also for Disinfectants & Deodorizers, Germicidal Solutions and Germicidal Wipes to finish the cleaning, and don´t forget to protect yourself. 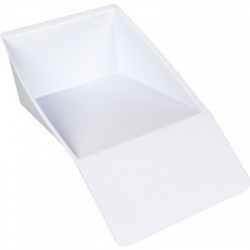 Spill Pick Up There are 12 products. 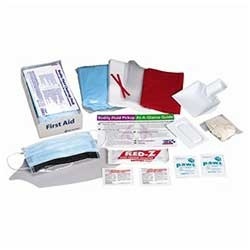 16 Piece Bodily Fluid Clean Up Pack/Case of 6 @ $12.50 ea. 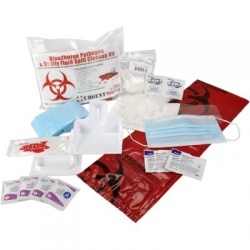 16 Piece Bodily Fluid Clean Up Pack/Case of 6 @ $12.50 ea. Biohazard Scoop and Scraper, 1 ea. 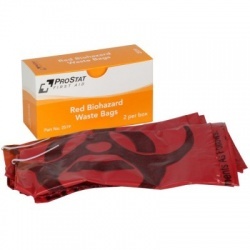 Biohazard Scoop and Scraper, 1 ea. 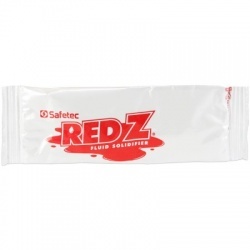 Red-Z™ fluid control solidifier, 5 oz. 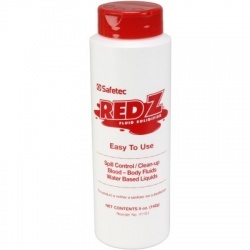 Red-Z™ fluid control solidifier, 5 oz.